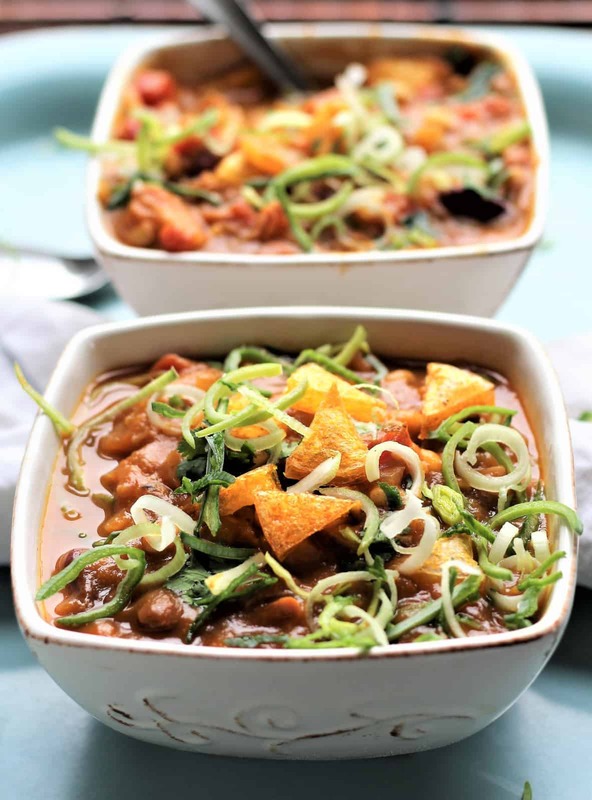 Vegan Pumpkin Chili With Polenta Croutons. Chili is always a bowl of comfort when the weather is cold, and just in time for the holidays, this is a twist on an old favorite. 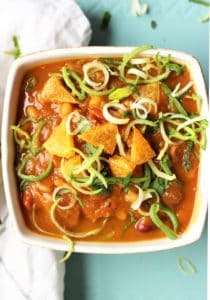 Pumpkin Chili with Polenta Croutons is sweet and spicy, and will definitely be one of your favorite versions of chili. Vegan, gluten free and dairy free. 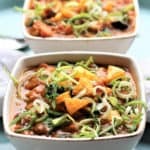 Vegan Pumpkin Chili. Tasty, warm and comforting. Gluten free, dairy free. 1 can kidney beans 15 oz. Put all ingredients in crockpot and cook 4-5 hours on high or 8-9 hours on low. Serve chili topped with polenta croutons and sliced leeks.